Sardinia’s beaches are spectacular: the sand is snow white and the water is a shade of aqua usually reserved for the tropics, but there’s a lot to be said for the wild interior as well. Lush forests open out onto incredible limestone bays or fields of sheep, or prehistoric ruins. And it’s not only the landscape which is special and surprising, the rich, colourful culture and traditional flavours and design have been shaped by visitors but have retained their individuality. It’s a bit like a tiny country... So when you start talking about the best places to stay on Sardinia there’s as much choice as you might expect from a mini-country. If you're here for the gorgeous beaches then we've plenty of lovely hotels and villas to recommend, but if your appetite is whetted to see a bit more of the island's treasures then some of the best places to stay on Sardinia are the inland towns. You do have to choose your town wisely though, some are picturesque, with architecture borrowed from the island's Catalan heritage, and some are less so. But you'll be rewarded, because as well as being Sardinia's cultural centres, the most charming towns are also the island's capitals of cuisine. Caligari has the hilltop citadel, cathedral, museums, palaces and a university, all surrounded by a sturdy fortress wall, built by the Pisans. Bosa is crowned by a medieval castle, and known for its pastel houses and ochre, medieval buildings, around an ancient, cobbled-heart. and Oristano, with its elegant piazzas and buildings, looks like a town with wealth. Definitely the place to be if you want to do some boutique shopping. If you want beach-y perfection, but with a less tourist-y feel, then one of the best places to stay on Sardinia is the Golfo di Orosei. These 20 miles of cliffs, dotted with lovely beaches and grottos, are a bit more of a challenge to access from the land because there's a large nature reserve behind them. Sailors, fishermen and luxury yachters of the highest calibre enjoy this paradise, and these days with a bit of planning so can you. Arzachena manages to offer the best of all worlds, it’s a charming rural village just a few kms from the Costa Smerelda. If you’re into horse riding this is a great place for it, it’s also great for divers - there are shipwrecks to explore, there are opportunities to go sailing and sea kayaking, and of course to hike and bike. Just off Sardinia's south west coast are the two islands of Sant'Antioco and San Pietro, which are probably the best places to stay on Sardinia if you're searching for the least developed 'authentic' Sardinian experience. and see if you can time your visit to coincide with one of the colourful local festivals. Just don't forget that if you want to guarantee a room in one of the best places to stay in Sardinia over the peak summer period, you'll have to be organised and book well ahead. It's not just the Italians who like to summer here! Sardina's wine is well known for its strength and bold flavours, and their local liqueur, filu e ferru, is even more potent. The flavours of the food tend to be bold enough to keep up, with lots of hearty pastas dusted with pungent local cheeses. The Hotel Su Gologone is an old, but working, Sardinian estate with its own olive grove and vineyards, so much of the excellent cuisine served here is sourced direct from the grounds. They also offer a wide selection of classes and hotel run activities - heavy on the artistic as well as foodie. The Hotel Villa Las Tronas offers a more traditional five star experience. On a promenade jutting out into the sea, this hotel has spectacular 360 degree views and an excellent seafood restaurant. Caligari, Bosa, Iglesias and Oristano are some of Sardinia's prettiest towns. 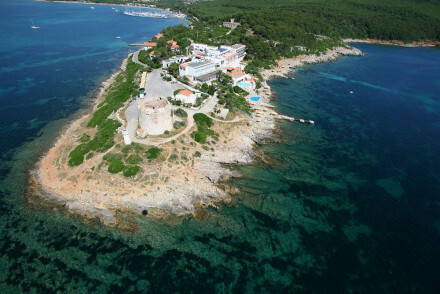 Hotel Miramare in Caligari, is right in the heart of the city, opposite the harbour, with beautiful views out to sea. Inside the style is Belle Epoque fancy, with an excellent breakfast. 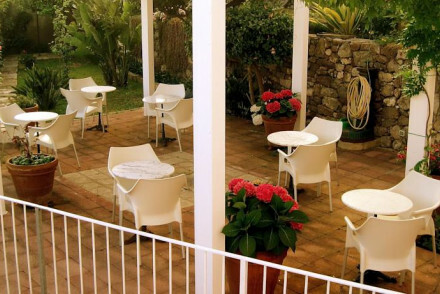 For a fabulous guesthouse experience, book the Hotel Lucrezia, which is located between Oristano and Bosa. The gardens are lovely, and inside it's all whitewashed walls, cast iron beds and charming, homely paintings and tapestries. And its a short distance from an excellent beach, so a good spot for families. The Hotel Villa Las Tronas is just along the coast from Bosa, on a promenade which juts into the sea. This hotel has plenty of traditional charm. Suites have their own private decks and hot tubs, so this is also one of the best places to stay on Sardinia for honeymooners. If you're looking for traditional chic, try Albergo Diffuso Mannois in Orosei's Old Town. The decor is simple creams and whites, to make the most of this charming building's original features. There are 18 rooms starting from less than £70 a night. The Antica Dimore Del Gruccione in medieval Santo Lussurgiu, is a 12 room boutique hotel with rooms and apartments dotted throughout town. Though all different, the rooms have beautiful original features and an antique feel. 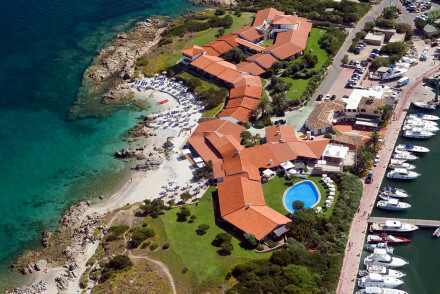 The Costa Smeralda hosts Sardinia's well known strip of beach resorts. The water here is transparent and bright blue, the sand is pale and the sunshine's abundant. It's busy though. 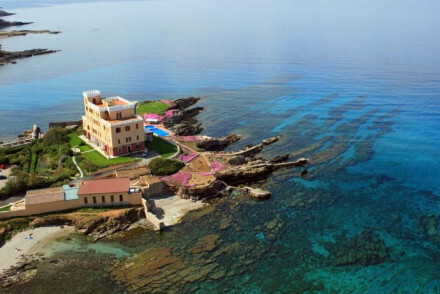 The Hotel El Faro is a fabulous seaside hotel on a peninsula north of Alghero. With 88 rooms and suites - some with incredible sea views, this is a large hotel, so there are plenty of activities on offer and the facilities are good. 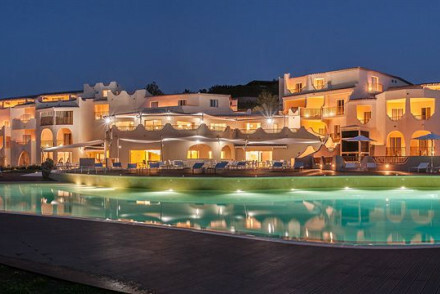 Highlights are the Thalasso Spa and excellent Mediterranean restaurant. 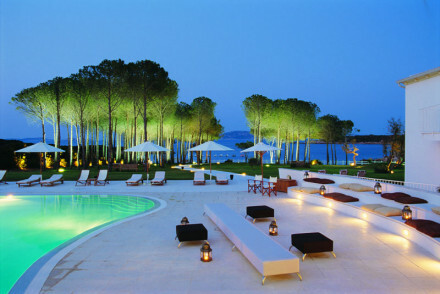 For your own private beach try the Hotel Sporting, which is just moments from Porto Rotondo’s harbour. There are 47 rooms, with vaulted ceilings and private balconies with sea views, plus a gourmet restaurant, tennis courts, a pool and gym. The Nascar Hotel is a good option if you're travelling with your family or a group and you want to stay somewhere comfy by the beach. The rooms are a generous size, some with private terraces, and the restaurant serves an excellent local menu. Right at the foot of the spectacular "Wild Blue" walking trail, this is also a great choice for hikers. The Hotel Su Gologone has been converted from a Sardinian estate and is surrounded by vineyards, olive trees and bougainvilleas, and serves up their own produce in the restaurant. You're up from the beach, but there's a pool fed from a local spring and the views are incredible. The Adiola Country Resort is a secluded resort overlooking Lake Liscia. There are 18 brightly coloured villas decorated in traditional, Sardinian style, and you’re surrounded by a thousand year old olive grove. The Lanthia Resort is set within a vast, peaceful garden with a private pool, but you’re also just a few minutes from your own private beach. 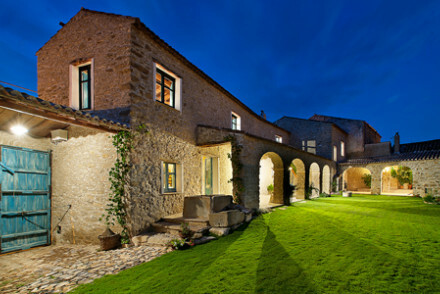 The 28 rooms are spread amongst a collection of stone villas, with chic, modern decor. Hotel Relais Villa del Golfo & Spa offers private views over the Bay of Cannigione and a private yacht at your disposal if you want to explore the coastline. 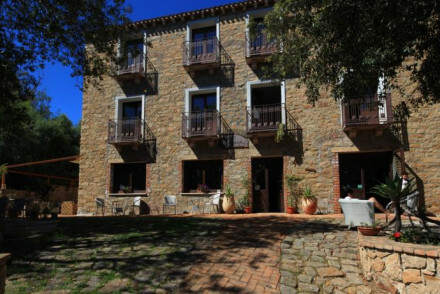 Bajaloglia is located right on the cliffs overlooking the Gulf of Asinara, close to the medieval town of Castelsardo. There are 15 rooms, suites and cottages - all with all the mod. cons. and some with private balconies too. The restaurant is traditionally Sardinian. Tenuta Pilastru was a farmhouse and is now a resort. It has 32 chic rooms and a fantastic pool and spa facilities. You’re not far from the beach and rooms start from less than £70 per night. 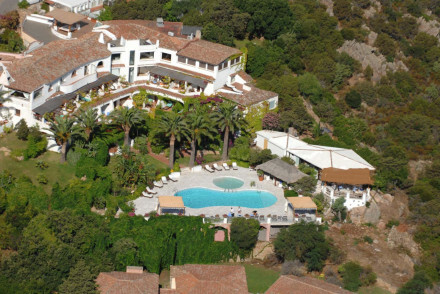 The 27 room Spartivento Hotel is a luxurious, rural resort in the hills of Southern Sardinia overlooking the beaches at Chia and the Mediterranean. The decor is simple but elegant and the restaurant is traditionally Sardinian. You’re surrounded by terrain to explore. Ollastu is a large complex encompassing beautiful, natural scenery, 54 rooms and a private beach. There are two dining rooms, an indoor and outdoor bar, landscaped gardens and a pool. There’s also plenty of actives laid on for the kids. Antica Locanda Lunetta is an adorable, but rustic, B&B in the old town of Mandas in Sardinia’s rural interior. There are just three rooms, with lovely original beans and stonework, and some loverly furnishings. 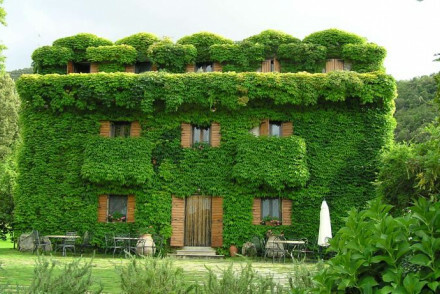 Close by is Domu Antiga, another great rustic B&B which also has three charming rooms. Here the rooms are better set up for families, and the views of the countryside are lovely. 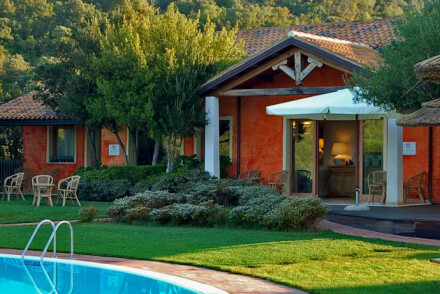 The Albero Capovolto is a quiet, five room B&B in Golf Aranci. There’s a pool with an outdoor seating area and a very relaxed atmosphere. Great for groups. With just ten rooms the Hotel Villa Pimpina is a homely place to rest your head in the charming fishing village of Carloforte. Rooms have tiled floors and sea views, some have balconies too, and there’s a small garden where you can have breakfast or sundowners. Rooms start from around £60 per night. The Hotel Panorama is right by the harbour in Olbia and very easy to get to. Modern and comfortable, with a gym, pool and everything you'd expect from a hotel which also caters for business guests, this is also a family friendly place with rooms starting from around £65 per night. 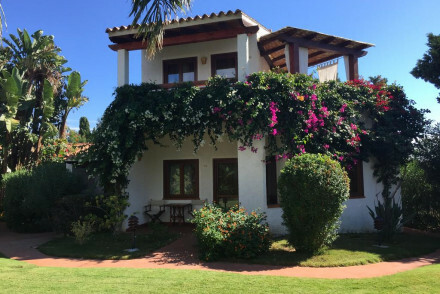 For around £70 per night you can stay at Ca La Somara, which was once stables, but is now a chic collection of villas surround by well kept gardens. 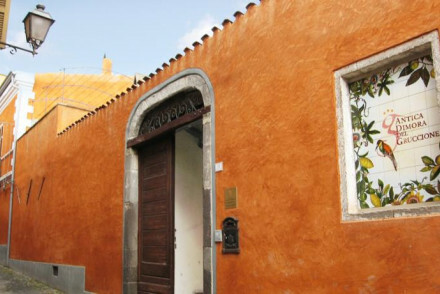 The 12 rooms are rustic, with lovely hand painted tiles and traditional Sardinian touches. For those who want a self catering villa or private sea-view apartment, we recommend you visit our online partner, booking.com. 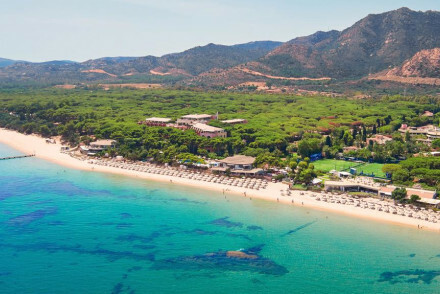 Sardinia has three airports, Alghero Airport, which is ten kilometres northwest of Alghero, Olbia Airport, which is about four kilometres from the centre of Olbia on the Costa Smeralda, and Cagliari Airport, which is seven kilometres from Cagliari, Sardinia’s largest city. 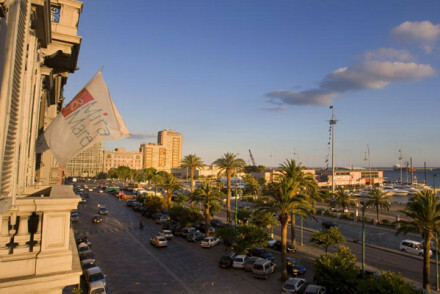 Cagliari’s port is right in front of the old town so you can easily arrive by sea. 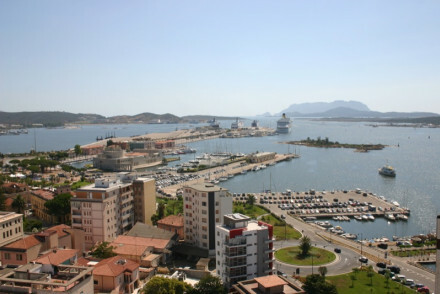 Olbia also has a ship and ferry terminal just a short bus or taxi ride from the centre of town, and if you’re cruising or sailing in to Alghero you’ll dock at Porto Torres, an industrial centre about 22 kilometres north of town. If you want to hire a car - which we highly recommend in Sardinia - we advise you to visit our online partner, Rentalcars. Sardinia’s Mediterranean climate means long, warm summers and short, mild winters, with most of the rain sandwiched between. It is known for being windy. And in some regions humid. in fact, for a small island, Sardinia has a number of microclimates. But generally speaking most of Sardinia is a pleasant destination almost year round. From the start of spring it starts to get pretty sunny, with between six and nine hours of sunshine a day, thought of course summer is the most popular time to visit, when the water is warm, and temperatures are in the mid-twenties. The temperature averages 18°C in October, so if you prefer a quieter holiday then September/ October is a good time to visit. 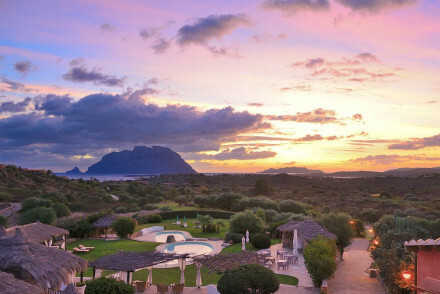 Still not sure which is the best place to stay on Sardinia for you? This smart, modern hotel overlooks the beach in Cagliari. Hotel Nautilus offers simple, smart rooms and direct access to the beach. A good low-cost option for families or groups. 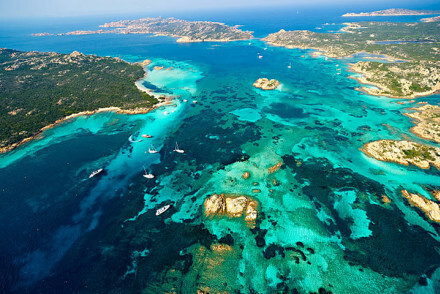 Sailing - Excellent stopping point for a sailing trip around Sardinia. Sights nearby - Two miles from Santuario e Basilica di Bonaria. Great walks - Go walking in Molentargius Natural Park. Seaside - Ideal for a seaside holiday. A large centrally located hotel with good facilities and great value for money. Lovely views from the roof top bar and lounge deck, modern rooms and suites, gym, conference facilities and breakfast room. Very family friendly. In the charming fishing town of Carloforte, Villa Pimpina has ten homely bedrooms - spacious and air conditioned, tiled floors and some with balconies and sea views. A small garden where breakfast and cocktails can be enjoyed. Very helpful and willing to organise local trips and seaside activities. An excellent little resort-style farmhouse with charming rustic chic rooms. Fantastic pool and spa facilities, local restaurant, and extensive conference facilities. The ideal choice for a gathering whether for business or pleasure. Also not far from the beach and excellent value. 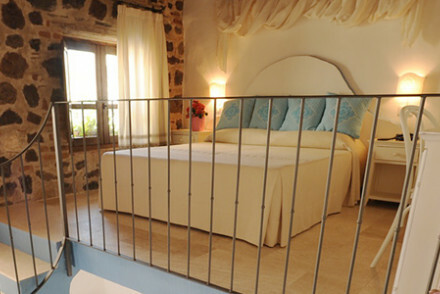 Converted stables now chic guest villas decorated in vibrant colour palettes and well kept gardens. Fun hand painted tiles and embroidered Sardinian linens decorate the rustic bedrooms. Breakfast is laid back and served outside when weather permits - which is almost always! A homely hideaway. Remote - Off the beaten track. A lovely hotel in Orosei's Old Town. Chic rooms and suites all in creams and whites, some with mezzanine levels and private balconies. Close to the beach, it makes a great spot for families. 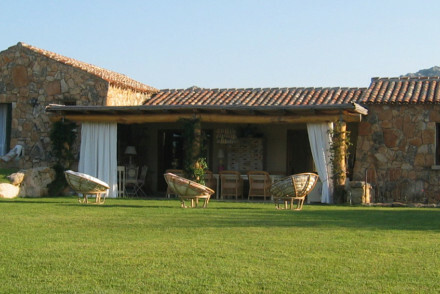 An adorable rustic, but perfectly designed, B&B in mainland Sardinia. 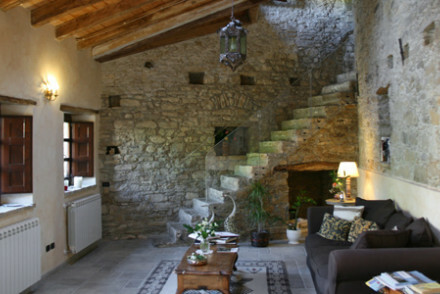 Just three rooms with wooden beams, exposed stonework, and elegant furniture. Lovely breakfast room and courtyard. A great base to do some local exploring from. Cooking classes - Check for timings. Great walks - Good for walkers. Rustic chic B&B in the heart of rural Sardinia. Charming bedrooms have wooden floorboards and beams, painted shutters, and attractive furnishings. Fabulous hearty breakfasts, cooking lessons, and lots of countryside fresh air. The perfect country escape for a couple or family. Views - Stunning views over the rolling countryside. Great walks - There's a deep gorge from the village that runs 5km, perfect for biking, hiking and rambling. For those looking for something a bit different, Boat and Breakfast could be just the ticket. 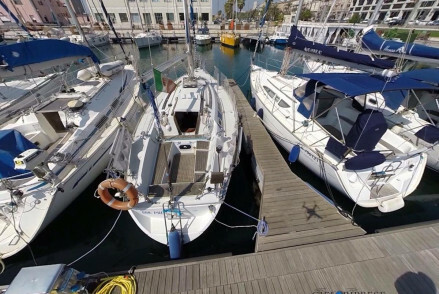 The 10 yard boat sleeps six and offers the chance to go out for day trips before returning to dock in the Cagliari harbour. A great family or group option. Diving - There are some great dive spots in Sardinia. Sailing - Perfect for those looking to set sail. 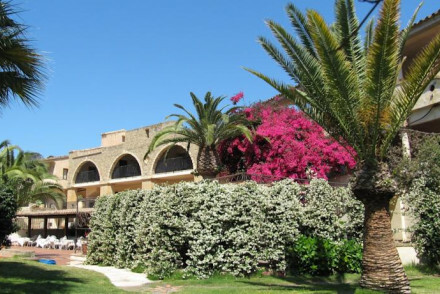 A fabulous seaside hotel on a peninsula north of Alghero. Beachy rooms and suites in nautical colours have lots of space, private balconies, and sea views. Top of the range Thalasso Spa, excellent Mediterranean cuisine, and lots of activities on the private beach and surrounding coastline. Spa breaks - Fabulou Thalasso Spa and Dead Sea Salt Bath therapies. Beach Life - Miles of coastline and coves to explore and swim in. Views - Stunning seaviews from all angles. Swimming Pool - Three pools. With its own private beach area and just moments from Porto Rotondo harbour guests can experience the best of both worlds. Light airy rooms with vaulted ceilings enjoy private balconies and sea views. There is a gourmet restaurant, tennis court, swimming pool and gym. The ultimate seaside stay! Sailing - Head out on a sunset cruise embarking from Porto Rotondo. A good four star hotel in the city centre with lovely sea views. Chic rooms and suites in Belle Epoque style with four posters and chandeliers. Good breakfasts and a lovely terrace. A great spot for a romantic break. Set in the charming medieval village of Santu Lussurgiu, this boutique guest house hotel has 12 apartments dotted around at different locations. Traditional parquet floors and charming fireplaces create an antique feel. Full of character with stone arched walkways and cobble courtyard dining. Foodies - Organic, fair-trade, locally sourced dishes are served - delicious! A quiet B&B in a peaceful garden with new swimming pool. Very relaxed atmosphere with outdoor seating areas and cool indoor lounge. Bedrooms have air conditioning and all have en suite bathroom. An ideal getaway for a group or those looking to do their own thing. Plenty of beautiful beaches nearby. Cycling - Bicycles available for hire. Sights nearby - Nuraghic settlements nearby. Other Activities - White sandy beaches nearby. A contemporary resort-style hotel set on a clifftop with stunning views of the Gulf of Asinara and the medieval town of Castelsardo. Individual cottages form private rooms and suites with all the mod cons and private balconies. Excellent spa, pools, terraces, and a traditional Sardinian restaurant. Views - Stunning view over Castelsardo medieval town and out to sea from its clifftop perch. Beach Life - The perfect location for a beach holiday. Surrounded by cork trees in a beautiful garden, this secluded resort overlooks Lake Liscia. Brightly coloured villas feature bedrooms decorated in a traditional Sardinian style embellished with fine ceramics and delicate, embroidered linens. A quaint stay. Fabulous guest house in lovely grounds, a short drive to beautiful coves and beaches. Rooms are immaculate with white washed walls, cast iron beds and attractive paintings and tapestries. Lovely breakfast courtyard and terraces. A charming family run property set in the ancient Roman town of Nora. Well sized rooms all have their own private terrace and are decorated in a traditional manner. 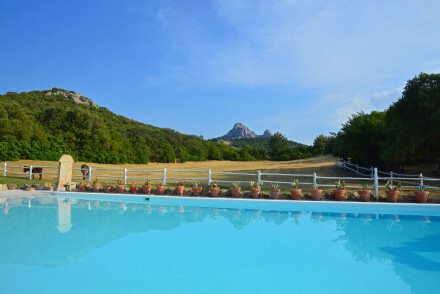 An outdoor pool, small spa and easy access to the archaeological site of Nora and the beaches makes this hard to beat. Local exploring - A charming spot surrounded by beautiful beaches and fascinating archealogical attractions. Sights nearby - Visit the fascinating Archaeological site of Nora. An expansive complex with wonderful views and private beach. Set in enchanting natural scenery with two dining rooms, an indoor and outdoor bar, landscaped garden and swimming pool. Plenty of activities for the kids and relaxing areas for adults. An ideal family resort. 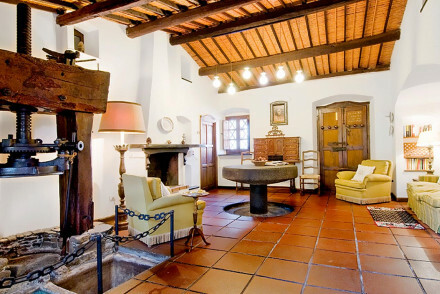 Steeped in traditional history, this charming country retreat was built by Italian musician Fabrizio De André. A romantic setting with beautiful garden and vine covered balconettes. This secluded escape is perfect if you want to go 'off-the-grid' and completely disconnect. A lovely seaside hotel with good rooms and excellent local food. 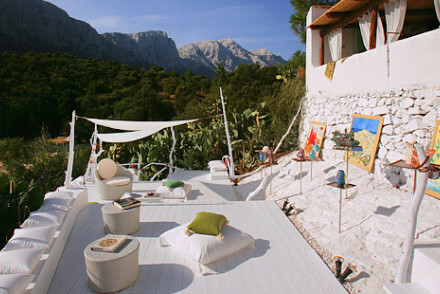 Rooms and suites with white washed walls, parquet floors, and big white comfy beds, some with private terraces. Excellently placed for a beach holiday for families, couples, or friends. 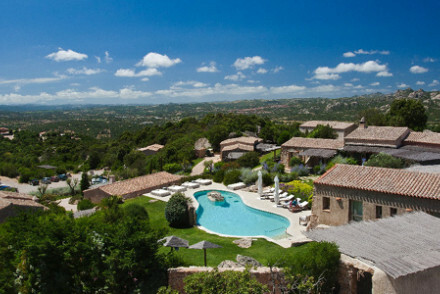 Luxury rural resort in the hills of Southern Sardinia, overlooking Chia's beaches. Spartivento offers stunning panoramic views of the Mediterranean Sea. Rooms exude elegant simplicity, and many boast a terrace for enjoying the views. The restaurant serves traditional Sardinian dishes. Rustic bliss. On the beach - In front of the hotel. Charming boutique hotel in Costa Smeralda. Light, chic and specious rooms with marble bathrooms and beautiful sea views. Tropical gardens with seating areas and separate adult and kid pools. 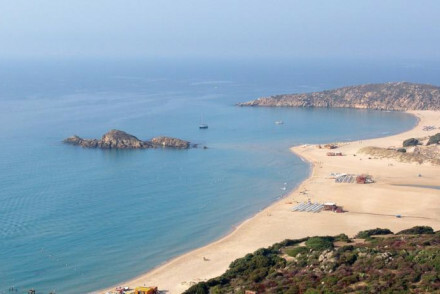 A great base for exploring the beautiful beaches of northern Sardinia. Fabulous hotel and spa with a gourmet restaurant. Gorgeous rooms and suites in neutral tones with big comfy beds and private terraces. Lovely pool and spectacular views. A great choice for a honeymoon. 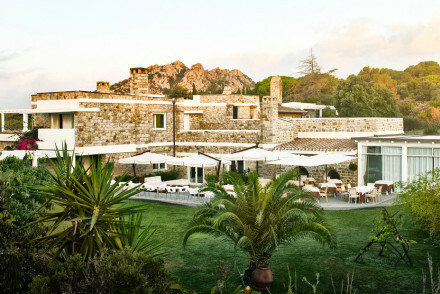 Chic design hotel on Sardinia's north coast. Rooms are a charming blend of traditional and contemporary, some with seaview balconies. It's a short stroll to the private beach plus there's a pool, spa & gym. The restaurant serves gourmet Mediterranean cuisine. Glamour by the beach! Stunning views over the Bay of Cannigione, a private yacht at your disposal, an extensive spa to indulge in, and chic Sardinian interiors to relax in. Beautiful creamy suites have private terraces. A very relaxing spot. Hotel boats for hire - The hotel's yacht can be taken out on reservation. Views - Fabulous views over the bay. A Five Star hotel on a promenade jutting into the sea. Traditionally elegant rooms and suites, not at all modern, excellent sea food restaurant, wellness centre and swimming pool over the water's edge. A romantic setting, but still very family friendly. A picturesque flower-filled property with enviable sea views. Sunny rooms feature traditionally tiled floors and antique furniture. A stunning infinity pool is the ideal spot to while away a lazy day. The restaurant serves up superb regional dishes. Within walking distance of lovely sandy beaches. 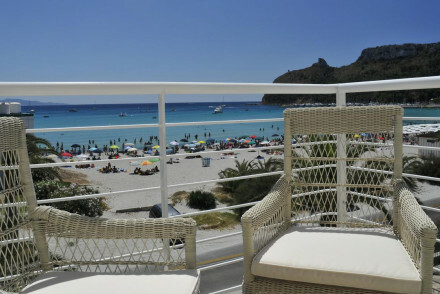 Beach Life - Set on Sardinia's stunning sunny coast, with beautiful views and just a short walk to the beach. Kayaking - Take a kayak out to sea and explore the picturesque coast. Sights nearby - Visit the fascinating archaeological site of Baccu Idda. Olive trees, vineyards, bougainvilleas surround this authentic Sardinian estate. Fantastic Sardinian cuisine and produce picked from the garden. Rooms and suites filled with artworks, fireplaces, and luxurious fabrics. Spa, wine cellar, and lovely pool. Rustic romance. An elegant hotel on the edge of the beach with tranquil swimming pool, extensive spa and gym facility. Rooms are simple but stylish, decorated in calming neutral tones, many with a balcony overlooking the Med. The restaurants serve exciting Italian dishes. Perfect for beachside relaxation. Set in a vast peaceful garden with a private swimming pool just minutes from the beach. Bedrooms are spread throughout a number of stone villas decorated with chic, modern design incorporating natural materials from the island. A hidden gem nestled between forest and beach. A myriad of luxury hotels and villas on a spectacular stretch of white sand beach. Accommodation varies in size yet is all contemporary and chic. The expansive resort offers numerous dining choices and activities. The perfect spot for both couples and families. Families - Find endless activities to suit both children and adults alike. Diving - Discover the corals, reefs and wartime wrecks in the crystal clear waters. 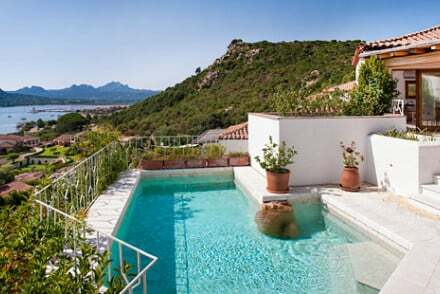 Two Sardinian villas for exclusive use on the private island of La Maddalena archipelago, just off Sardinia. Beautiful rooms and a great restaurant. Plenty of activities; there are motor boats and yachts to take out. Ideal for a family holiday or a group of friends.